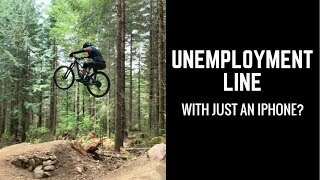 Jeff Kendall-Weed takes us on a ride through the Galbraith Mountain Class, Unemployment Line Trail. A long flow sequence of jumps built to perfection. This is a true mountain bike flow trail and perfect after a few spring showers have passed through. One of Galbraith’s premiere trails, Unemployment Line is a machine built intermediate/advanced jump trail.